It was in a reasonable area near to the beach and harbour, the cleaner was friendly and did a good job. Akis (owner) was very friendly and helpful. The room was clean, good size and very well decorated. The location is perfect, just few steps away from the center of the town. Great location Loved the balcony Very clean and neat. Quiet and fairly large rooms better than expected when I first saw them on pictures. Lovely 2 bedroom apartment ideal for 5 of us. Large balcony and nice clean apartment. 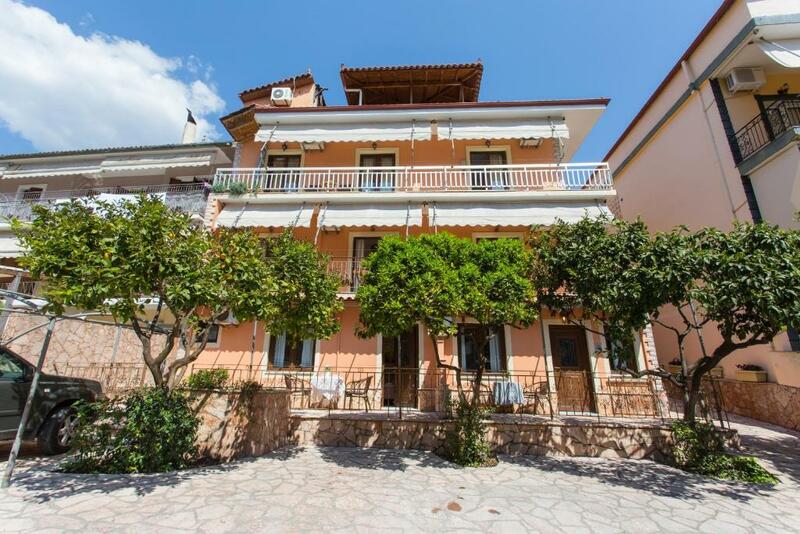 Posizione perfetta per Parga, con parcheggio privato, appartamento appena ristrutturato. Πολύ καλή τοποθεσία 5' με τα πόδια είσαι κέντρο και 10' παραλία. Πολύ καθαρό και άνετο διαμέρισμα σε ένα ήσυχο περιβάλλον. A házban és a környékén is tisztaság volt, a lakás tágas, megfelelően felszerelt és jár hozzá egy parkoló is a ház közvetlen közelében. Plusz pont hogy a köves és homokos strand is közel volt, illetve Parga központja is csak pár perc séta. A tulaj kedves és segítőkész. Központi helyen, árnyas utcában, virágos környezetben helyezkedik el. Saját parkoló a ház előtt, ingyen. Napi takarítás, törölköző csere. Klíma az árban. Kedves házigazdák. Если вы приехали на машине, знайте, что на узких улочках Парги невозможно найти парковку. Хозяева любезно предоставили нам парковку на территории апартаментов. Lock in a great price for Akis House – rated 8.6 by recent guests! This family-run guest house is 1,000 feet from the Ionian Sea and offers self-catering studios with a balcony. The town pool is 164 feet’ walk, and Pargas Ferry Terminal is 1,650 feet away. Studios at Akis House are decorated in warm colors and air conditioned. Each is cleaned daily, and includes a TV and private bathroom with shower. Guests can relax on the Akis’ outdoor terrace after spending a day at the beach. Akis House’s staff can provide directions to the E55 Highway, a 6.2 mi drive. Parking at Akis House is free. When would you like to stay at Akis House? 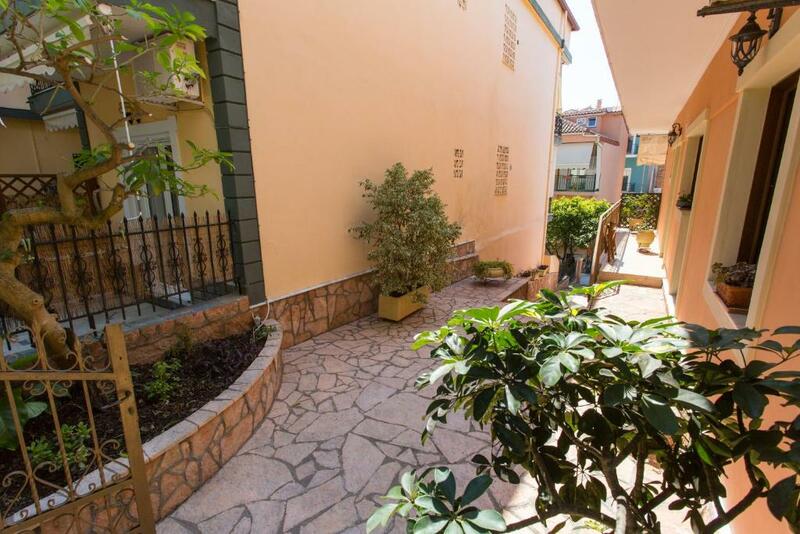 Decorated in warm colors, this air-conditioned studio includes a kitchenette, TV and private bathroom with shower. Opening to a patio, this apartment offers a seating area and a kitchenette. House Rules Akis House takes special requests – add in the next step! Akis House accepts these cards and reserves the right to temporarily hold an amount prior to arrival. The view of the property directly opposite was an unfinished building, this was disappointing. Also we were unable to get WYFI connection and the man did not seem interested in assisting. Very small room,had to leave one of our motorbike panniers and the top box on the balcony,as we had no room for them inside. Very hard to find the property,google map got confused had to ask people as we went along. very comfortable bed and the room was very clean! No air conditioner in main living area so very hot. Difficult location to find .